From the realms of mythology to the futuristic pages of sci-fi books, transplantation of organs from one human being to another has always been written about, talked about and debated about intensely. But, what is happening today in the world of organ donation and transplantation? Transplantation over the past few decades has gradually become the accepted treatment for a number of conditions where organs like the kidneys, heart and liver have irreversibly failed. For a patient with kidney failure an alternative such as dialysis is available till an organ becomes available, but for a patient with liver or heart failure; the only hope of living may be to have an immediate transplant. Are we doing enough to help these critically ill patients whose numbers seems to be constantly on the increase? 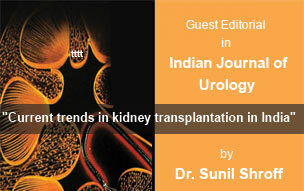 What is the current status of different transplants in India and what are we doing to help these patients? Organ donation is a gracious act; it reaffirms our faith in humanity. However, over the last 10 to 15 years the organ donation process is marred in India due to the stigma attached to kidney donation. The law of the land prohibits any commercial dealing in organs - such as purchase of kidney from a donor from economically weaker section, but because the demand is so high, the law is difficult to implement and kidney scandals continue to haunt the country where a donor is not adequately compensated. Parallel to these problems there has been a very interesting advancement in the field of transplantation in India in the last 12 years and this is seldom discussed or talked about. For the first time in our country organs have been donated and transplanted from patients who are brain dead the so called cadaver or deceased organ donation. Brain death usually happens when there is internal brain hemorrhage and the expanding hematoma cuts off the blood supply to vital sections of the brain thus starving it of oxygen and glucose and leading to death. Bleeding can happen due to a spontaneous rupture of an aneury small artery within the brain or more commonly due to a severe head injury that occurs in a road traffic accident. The diagnosis of this condition is clinical and most doctors in intensive care units are familiar with the condition. As we all know that the brain is the master conductor that directly or indirectly controls the functioning of the body and once it dies everything is lost. Normally in death as we understand, the heart comes to a stop first and the brain cells die within a few minutes due to lack of blood circulation but in brain death the reverse takes place. A patient who is brain dead is in an irreversible state and is totally dependent on ventilators and has constant need for medications to keep their heart and circulation functioning. This condition was first recognized in an ICU in Paris and was called coma de passe. Brain death is a very tragic situation and sometimes results from an unnecessary accident of a young person. The only positive outcome can be organ donation before the machines are switched off. A post-mortem may be required if the patient was involved in a road traffic accident and this may entails removal and examination of body parts. The relatives may in this situation consider organ donation. putting out the lamp because the dawn has come. On January 21, 2004, 16-years-old Krishnan suffered from haemorrhage within the brain and was declared brain dead at a hospital in Chennai. But his organs today live in six people and just a few days previously in another hospital, 28 years Meenakshi's organ had saved the lives of five people. These and many such acts are noble gestures coming regularly for the past few years from families in a few hospitals in Tamil Nadu that have transplant co-ordinators. The lead hospitals include Apollo, Sri Ramachandra, CMC Vellore and Kovai Medical Centre, Tamil Nadu is currently the leader in cadaver organ transplantation in the country; it is thanks to the awareness programmes to spread the message of organ donation by NGO's like MOHAN Foundation. In our country since the law accepting brain death was passed in 1995, we have managed to do over 1300 transplants of organs like kidneys, heart, liver, lungs and pancreas. 1. To stop commercial dealing in organs especially Kidneys. 2. Accepting Brain death as a definition of death. 3. Define that only the first relative can donate kidneys in case of related kidney transplant operation. In the event of there being no first relative and someone other than first relative was willing to donate; the government advised the formation of a special government committee to study these individual cases of organ donation and make sure that there was no commercial dealings involved in the process of donation. Only on being granted permission from this government committee could unrelated transplants be undertaken by the doctors. Let us briefly examine what has been achieved in the last 12 years in India-. 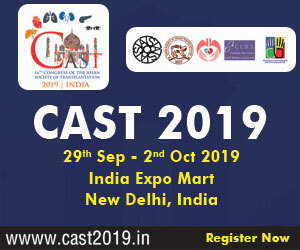 The 1300 odd cadaver organ transplants have shown that we in India are capable of organizing the chain of events that lead to cadaver transplants. The brain death certification is now widely accepted by clinicians and the protocols to certify it, have been uniformly accepted as laid down by the government. Few hospitals are now regularly doing such transplants and in this respect, Tamil Nadu, Andhra Pradesh, Gujarat and Maharashtra have made some commendable efforts. It is possible to not only do kidneys transplants but our doctors are skilled enough to do complex transplants such as liver, heart, lungs and pancreas transplants.